In this Q&A series, Redshift speaks with leaders, innovators, entrepreneurs, and disrupters who embody the future of making in construction, manufacturing, architecture, and infrastructure. This “Voices on the Future of Making” features Mike Eggers, vice president of Product and Innovation at Project Frog. 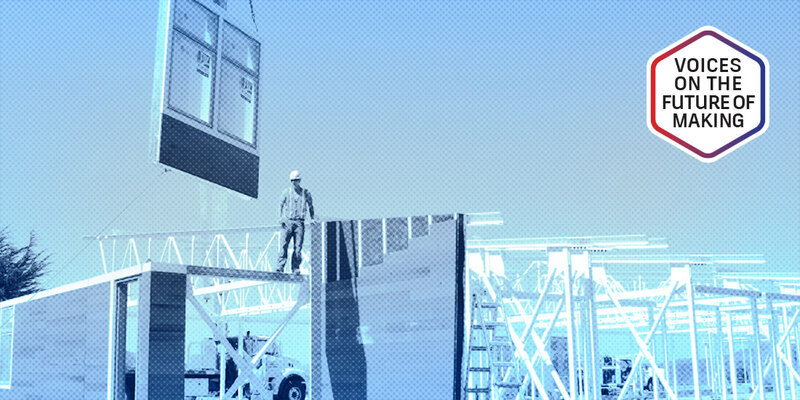 The San Francisco–based industrialized-construction company designs and develops prefabricated building systems kits containing parts to be used in conjunction with a technology platform, delivering building solutions at scale. Frog’s kits, the brainchildren of architects, product designers, and engineers, address three overarching concepts: flexibility, automation, and “accessibility,” meaning ease of use for architects, engineers, manufacturers, and builders. Similar to modular construction, these kits are assembled into schools, community centers, medical office buildings, and other structures. But while modular construction is fully assembled in a factory, the kits are designed for two-dimensional, flat-packed shipment to construction sites—like IKEA furniture but on a much larger scale. This article originally appeared on Autodesk’s Redshift, a site dedicated to inspiring designers, engineers, builders, and makers. Continue reading the article: https://www.autodesk.com/redshift/project-frog/. Photo Credit: Project Frog designs prefabricated building systems as “kits” that are shipped to jobsites in flat packs. Courtesy Project Frog.